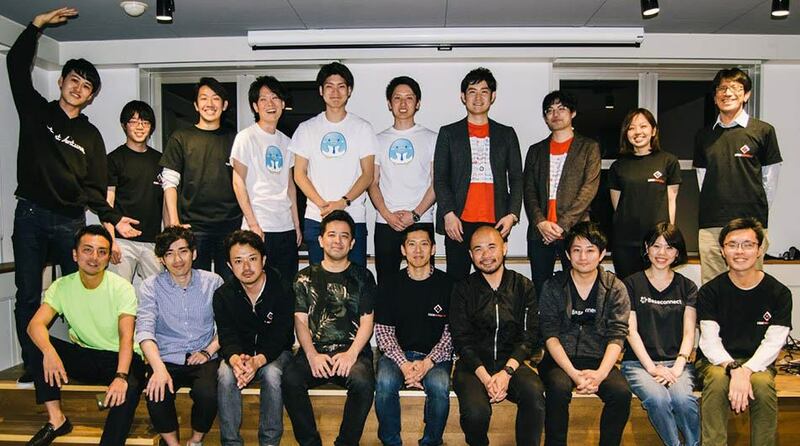 Graduates of Code Republic’s latest batch with YJ Capital’s managing director Shinichiro Hori in front center flanked by East Ventures managing partner Taiga Matsuyama to his left and East Ventures co-founder Batara Eto to his right. Photo credit: Code Republic. Code Republic graduated its second batch of three startups last night. They say ,“threes a crowd,” and the crowd definitely showed up Friday. 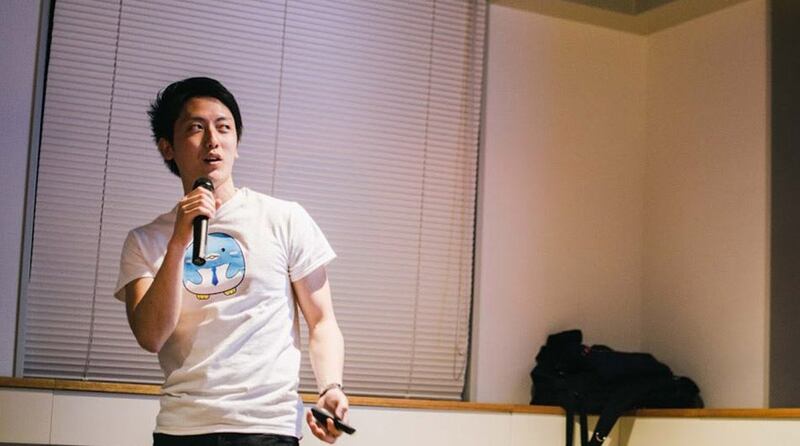 The accelerator is run by investment powerhouses Yahoo Japan’s YJ Capital and East Ventures. Similar to Y Combinator, the backers invest around US$70,000 for a combined seven percent stake in the startups. In addition to Japan’s most recent unicorn, Mercari, East Ventures has invested in the likes of predicted Southeast Asian unicorns Tokopedia, and Traveloka, and recently acquired Redmart – as well as Tech in Asia. YJ Capital is more domestically focused and has contributed to some of Japan’s top funded startups like Raksul, Whill, and BizReach. Here are the graduates in pitching order. 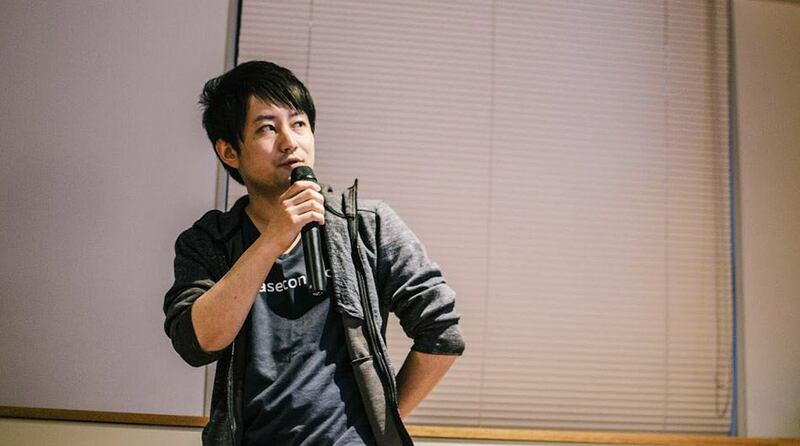 Baseconnect CEO Yuki Kunishige. Photo credit: Code Republic. Baseconnect is a database of businesses’ contact information to help speed up the process for creating sales attack lists. There are roughly 4 million businesses in Japan, 60 percent of which are focused on business to business sales according to an estimate by Baseconnect. 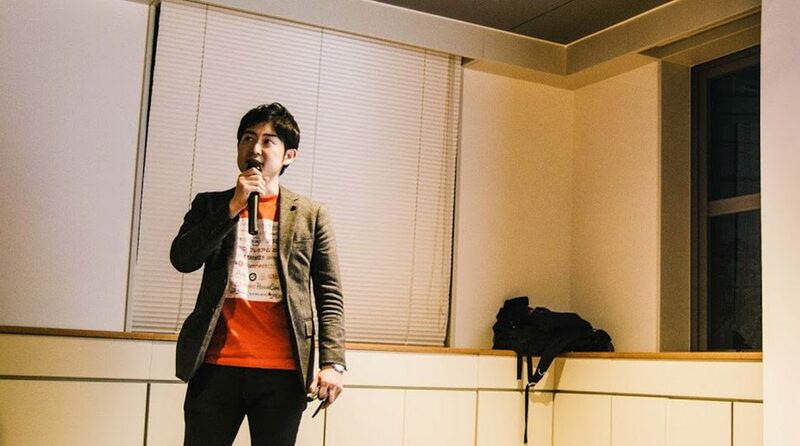 The startup currently has contact details and basic information for 10,000 businesses and hopes to cover all 4 million in Japan within a year. Users can search for potential clients and export an attack list for around US$0.25 per company. The startup also plans to create a monthly subscription service which provides even more specific information like revenue or investor relations papers. X-bit CEO Kokubo Kosaku. Photo credit: Code Republic. X-bit’s new service is a chatbot which helps coordinate shifts for part-time workers. The bot runs on top of popular Japanese messaging app Line. It makes it easy for shop owners to gather availabilities from employees and then the service automatically creates shift schedules. Push notifications can also be sent out to remind people to keep submission deadlines. The young team of three already has a test contract for three shop locations with Diamond Dining, a public company specializing in restaurant and shop management. Tokyo307 CEO Taiyo Yasaka. Photo credit: Code Republic. Tomaruyo helps Japanese hotels advertise on foreign booking sites as well as provide concierge services through a chat app. 70 percent of Japanese hotels do not list rooms on foreign travel channels likes Airbnb, Booking.com, or Expedia, according to CEO Taiyo Yasaka. Tomaruyo helps hotels and Airbnb type hosts list on foreign sites and then charges a 3 percent commission for any bookings made. The startup is also testing an additional chat concierge service with eight hotels. At check in, guests receive an Android phone with a SIM card already installed as well as an app to contact the hotel. The model is similar to Handy phone which is gearing up to be Hong Kong’s first unicorn.